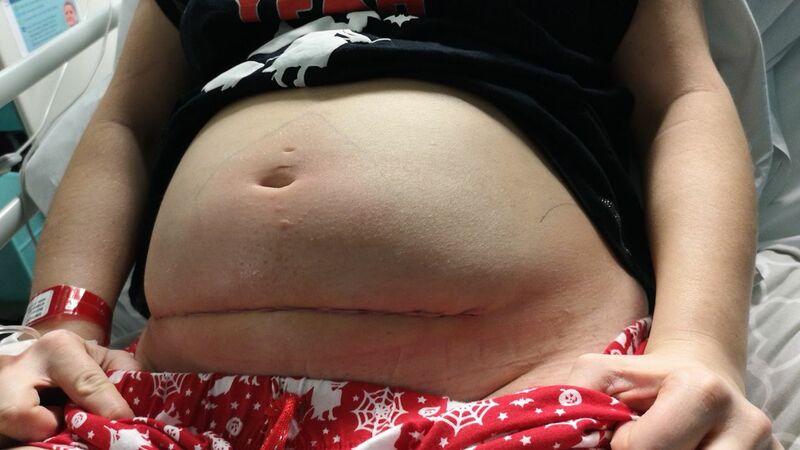 Bethan’s baby was removed from the womb for surgery – then PUT BACK IN. Imagine this: You’re a happy, excited mama-to-be going in for your 20-week scan, totally oblivious that there are any issues going on with your unborn child – until you’re told your baby’s head isn’t measuring in sync with her age and she has Spina bifida. You’re faced with three choices; terminate the pregnancy, continue with the pregnancy in the hope that your baby will be okay or have fetal surgery to fix your baby. The option of fetal surgery requires removing your baby from your womb in order to repair the spinal cord and THEN… putting her back inside to continue developing. Sounds like a movie, right? Well, Bethan Simpson was faced with this very proposition and opted to have the pioneering surgery on her unborn daughter. The surgery was suggested in order to give her daughter a greater chance of a normal life. Her baby is now measuring normal and she is on her way to giving birth in April as expected. Spina bifida is a birth defect I know all too much about. My legend of a mum was born with it. Spina bifida occurs when a baby’s spinal cord doesn’t develop properly, which in turn can cause paralysis of the limbs and the ability to go to the toilet normally. My mum went through the complications of over 15 leg surgeries as a child and what I like to describe as a Forrest Gump style leg contraption she wore for most of her primary school life. She has no toes on one foot after having them amputated due to a lack of blood flow. She has no feeling below the knee on her left leg. She was never able to properly rely on her body or use it like other kids. Luckily though, she has been able to live a relatively normal life. No one but her family really know how her life is affected, but we’ve had a front row seat to the chronic back pain and consistent foot infections from the lack of blood flow in her left leg. My mum also had a tethered spinal cord that she lived with her whole life until the pain was unbearable, forcing her to have major surgery in her 50s that has helped immensely with her mobility and physical ability. This back surgery is similar to what Bethan’s unborn daughter underwent, which in turn will now avoid so many unforeseen issues in her future that my mum has had to fix throughout her life. Bethan told her story so she could share with the world that having a child with Spina bifida isn’t a death sentence; they can lead relatively normal lives and although 80% of people choose to terminate pregnancies when their unborn child is diagnosed with Spina bifida, there are options available now… and I for one appreciate her message. 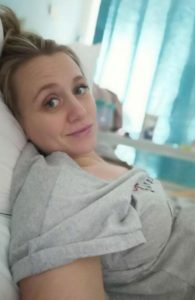 Not everything is quite as simple as it seems but it’s always awesome to hear stories like this where hope is restored and for Bethan, her excitement for her beautiful unborn daughter is not tainted by constant worry.